Home / FILM POSTERS / MOVIE TRAILERS AND INFO / Untold Story About Miracle Landing in First Trailer of "Sully"
Untold Story About Miracle Landing in First Trailer of "Sully"
The Tom Hanks-starrer opens in Philippine cinemas on September 8th. 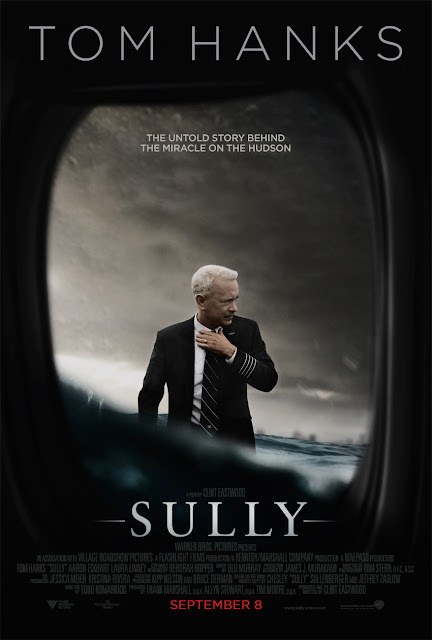 From Oscar-winning director Clint Eastwood comes Warner Bros. Pictures’ “Sully,” starring Oscar winner Tom Hanks as Captain Chesley “Sully” Sullenberger. Eastwood is directing the film from a screenplay by Todd Komarnicki, based on the book Highest Duty by Sullenberger and Jeffrey Zaslow. The project is being produced by Eastwood, Frank Marshall, Allyn Stewart and Tim Moore, with Kipp Nelson and Bruce Berman serving as executive producers. Warner Bros. Pictures presents, in association with Village Roadshow Pictures, a Flashlight Films production, a Kennedy/Marshall Company production, a Malpaso production, “Sully.” The film will be distributed worldwide by Warner Bros. Pictures, a Warner Bros. Entertainment Company.